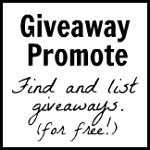 Awesome giveaway guys, you RULE! Great review!! 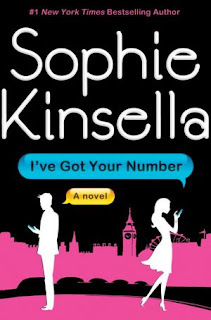 I'm a HUGE Sophie Kinsella fan so I'm dying to read this book as well. My favourite SK book has to be Can You Keep a Secret? and book #1 in the Shopaholic series but I'm really looking forward to this one as well. I tend to jump to conclusions quite a lot as well, to be frank. One of my worst experiences concerning conclusions was when I met this guy who was a bit nerdy and weird and I jumped to the conclusion that he's this super romantic and weird guy so we ended up being just friends. When I realized that he's the most helpful and the nicest guy I've ever met, it was too late, of course. He now lives abroad and has had a girlfriend for over a year. Yes, it happens to me at times - jumping to conclusions. It particularly happened to me last year on Valentine's Day. I was stuck in the house because my son was unwell. My husband went out for some fresh air (that's what he told me)...it took him more than I expected him to be out and I resented him to be going outside while I was stuck in the house. He came home with a box of chocolates and a card. I felt so bad for jumping to conclusions. Thanks for the AWESOME giveaway as usual! You guys rock! Let's see--I once jumped to the conclusion that my students were cheating on their exams--they were making really good grades, and it *couldn't* be because I'm a good teacher, or they are diligent students, right? So I went to all kinds of trouble to make several versions of future exams, and made a lot of extra work for myself, and it turned out they were just a really good, high-achieving class! I jumped to the conclusion that my daughter had lost my mp3 charger because she is always taking my things and not giving them back. I turned out my husband had it. I felt bad and appologized. 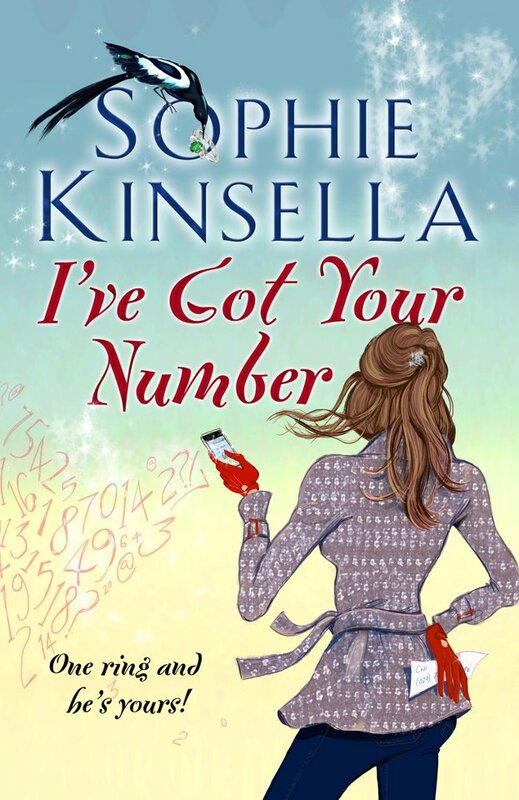 Sophie Kinsella is the reason I started reading Chick Lit - can't wait for this book!!! 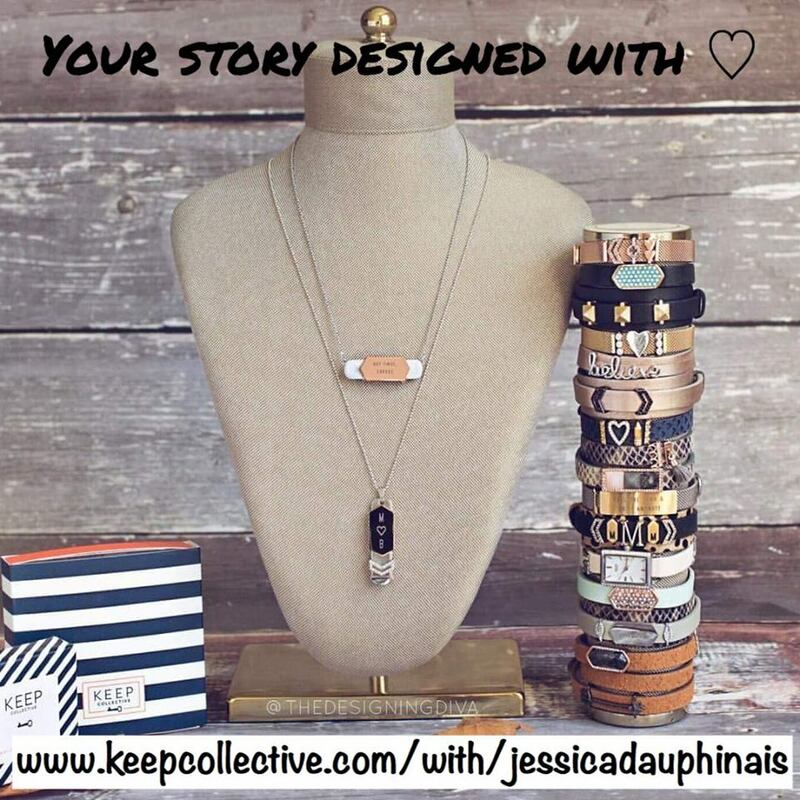 Follow email and Facebook! Fingers crossed extra hard for this one! 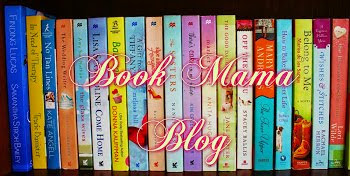 Sophie is one of my favorite chick lit writers! I have read (or own) all of her books and am so excited for this new one! I don't often jump to conclusions but, like just about everyone I assume, I have from time to time. My first Mother's Day as a mom my husband was working and I was home alone with our son. We had moved away form all of our family not long before so I was really stuck in the house without anything to do. I spent the day sulking and assuming that my husband would come home and hardly any attention would be paid to my first ever Mother's Day. I burst into tears as soon as he walked him and started accusing him of not giving the day its due. He then proceeded to give me this beautiful Lladro sculpture of a mom and little boy. Well then I burst into tears because I felt bad for being mean :). Just shows you that you should try not to jump to conclusions! My bf and I had been dating for about 6 months. The weekend was near and he hadn't mentioned doing anything with me and my daughter. So, I start to panic and think the worst, he doesn't like me anymore. When Friday arrives I ask him if he planned on seeing us during the wknd. He said since we were in a committed relationship he just assumed I would know that we would be together every weekend. That was 3 years ago. So excited about this book! She's one of my favorite chick lit authors. I am racking my brain and honestly can't remember any however I do remember once my old roommate & friend had assumed that I had drinks at our apartment once with a male friend of mine who she had a hopeless crush on and didn't tell her but the truth was that it was a friend of ours who is a female. I still do not know why she assumed it was him. Can't wait to read this, I love Sophie Kinsella. I would say I last jumped to a conclusion when I made a recipe that looked delicious on tv, and it didn't turn out nearly as well as I concluded it would! It turned out to be a large loaf of bread wrapped in white paper from the local baker's and the woman was still heavily pregnant! Luckily we had a good laugh afterwards, but I still feel embarrassed thinking about it. I don't remember ever jumping to conclusions but I must have at some point. No, wait. Is that one? Result: hopefully I'll win this cool book. Would love to win this book - I have loved all her other ones! One time I can think of...I'd assumed my boyfriend and I were broken up since we hadn't seen each other or talked in weeks. Well....yeah.....we weren't...and I'd kinda started dating someone else. (Who I ended up marrying!!) But yeah...that day I had to tell him I was seeing someone else...not one of my best days. BTW...I was only 17, so that's gotta give me some sort of pass, right??? LOL! SOPHIE KINSELLA<3 I love her books, one of the very few authors that are capable of making me laugh! jumping into conclusions, I guess it happens when I am in the middle of arguments with my parents and my older sister where I tend to jump into the conclusion that they are all mean, grouchy people. Thanks for the giveaway chance!!! Oooo, can't wait to read this one!! I'm not a huge conclusion-jumper (I work at a CPA firm, so it's just not in the blood), but sometimes I think I 'know' how a book or movie is going to end, and boy! - sometimes I can really be surprised! I remember the first time I read a Sophie Kinsella book, The Undomestic Goddess and it was such a fun read. Her latest sounds like another great one. I try not to jump to conclusions but there was a time when I was younger and I thought my parents forgot my birthday. As a little girl birthdays were pretty important. I woke up and no mention of my big day, went to school...and came back to find a surprise party! So it turned out pretty well. I rarely jumped to conclusions. I guess probably assuming my son would forget to pick up dinner for me after they went out to eat and then he surprised me and actually remembered was the most recent time. I'm terrible at jumping to conclusions and it's usually WRONG! As I have gotten older I have gotten much better at it, but I can remember one time I jumped to the conclusion that my friends forgot my birthday, but actually they were throwing me a surprise party. Oops!! Sophie kinsella is my favorite author!! I love all her books! 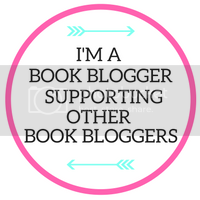 I don't think I really jump to conclusions all that much but I often try to figure out the ending to a book before I get there and am usually surprised by the ending! A friend was hosting a birthday party for her husband at a bar. All of our friends were going, but we hadn't received an invitation. Everyone was all, "Of course, you guys are invited." I kept saying to my hubby, "I always thought they might not like us, but I'm surprised they excluded us." I got all worked up, assuming they had a problem with us. And then ... invitation arrives a week after the party with the wrong house number on the envelope and a bunch of postal markings about misdirection. Oops. i want to read this book so much because it reminds me a lot of myself.. i think i am the kind who always jump into conclusions and think bad ahead. for example if i see someone who i think is not trust worthy i will automatically think that he/she is a bad person and that i should keep my eye out because he/she might do something evil lol. haha really i want this habit of mine to go away but sometimes i just cant help it. I don't really jump to conclusions because I like to think things through first. This book sounds very good. I overheard part of a conversation. I thought it was about me. I got upset, but it turns out it was about someone else. It was still mean & I said so. At my best friends wedding, my boyfriend at the time confessed to her while dancing that although I was a 'great girl' I was 'a bit young' to consider settling down with. Of course, she told me and I was heartbroken. I spent the next couple of weeks wondering what to do and it reached a peak at dinner one night with the same friend and her new husband. Our dog had recently been very sick and I had devoted a lot of time taking him to the vet, cleaning up after him and giving him medicine. At dinner, the conversation of marriage came up and I said 'Well, I don't need to worry about ever getting married, considering I'm going to be just the dog-puke-cleaner-upper for the rest of my life!' Little did I know that my husband had confessed to hers even before their wedding that he was going to propose, and in fact he did it the very next day after my word vomit. Turns out he was waiting for the big party his parents were throwing because all the family was together. Oops!! I jumped to conclusions and thought my friend was hooking up w my bf. Totally wrong and ended up fighting with her and he was a loser anyway for many reasons. Love Sophie so much! REALLY hope to win! It's easy to jump to conclusions isn't it? I know I am notorious for it. But one time in particular was when I met my husband. I had been working at a pizza place in my home town for about a year when he started, and I instantly tried to tell him how to do something figuring he was a newbie. Later found out, he had been working in pizza for years, and was hired as our new Manager. Lets just say we didn't get off to the greatest of beginnings! I love Sophie Kinsella's books so much, I cannot even describe it in words. I regularly check her website, waiting for news about her latest book and I was so excited to discover it was coming out in February! I've already placed a hold on it at my local library, but it would be so nice to be able to read it as soon as it comes out! One of the conclusions that I jumped to (which I'm very embarrassed about now), was that the Shopaholic books were going to be trashy, stupid, run of the mill novels, but as soon as I started reading them, I was honestly captivated by Sophie Kinsella's story telling. Her books are intelligently written and absolutely hilarious. 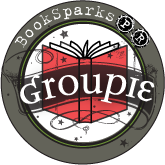 I've tried looking for chick lit that I like as much and I can honestly say that I haven't found anything that compares to her. Thank you so much for doing this giveaway :D I'm so excited for the book to come out! I jumped to the conclusion that my husband had eaten the leftovers on the counter -- wrong! It was the cat!! Love, Love, Love Sophie Kinsella (MW). I usually jump to the conclusion with my bf when I am mad at him. That old saying "Seeing red" definitely can apply to me at times but it's something I'm working on! I remember a time when my boss asked to see me in her office. I wasn't sure what the reason she wanted to see me was, but I was really nervous and expecting the worst. It turns out that she just had a simple question for me. Glad it turned out well. That should teach me not to jump to conclusions. When I jump to conclusion,OMG it's too embarrassingly:My son when he was on 3 years old he was on his aunt and from his aunt he put it some women's rings in his pocket and when he came home his father(my husband)change him cloths and then the rings dropped out of his pocket,but they both don't see that.When I back home I see those women's rings in our bedroom on my husband side-Can you imagine my reaction?I was furious!But after few days my sister in low is call and say the true.We felt relieved. When I was applying for my current job, I was convinced that I hadn't gotten it because I didn't have the background they were looking for. Turned out they were just taking a long time looking at candidates, and my experience trumped tenure in the company, so I got it! Yay!! I've jumped to conclusions so many times! I hate when others do it so I try to wait for the benefit of the doubt before I actual believe the crazy scenarios in my head. One in particular would be the time I thought my then boyfriend was going to leave me for a man! Haha Turns out it was a party planner he had been secretly working with to plan my birthday party! Oh, I never jump to conclusions, lol! Yeah, right. Some say it's paranoia but I always misinterpret voice tone and usually assume the worse and immediately go back to all of my mess-ups and assume the person is upset with me. Recently I thought returning a call to a coworker was going to be painful so I put it off. Turns out it completely wasn't anything to do with something I did, but everything about her having other people listening to her while leaving the message. Whoops. 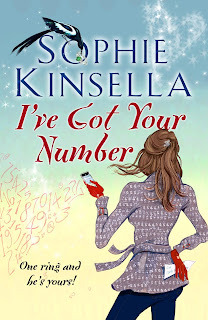 I have become a recent fan of Sophie Kinsella. I thend to make assumptions that lead to jumping to conclusions. I absolutely love this book. 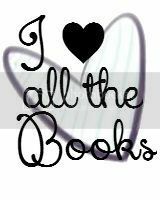 I am a huge fan of Sophie Kinsella and the Shopaholic series. 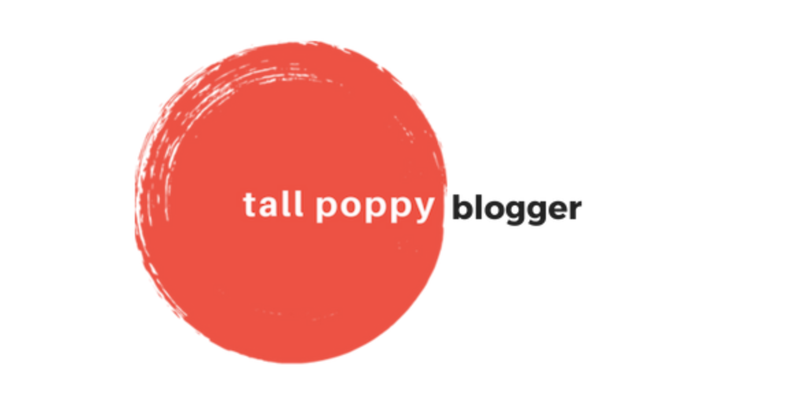 I felt that Poppy Wyatt was just like Becky Bloomwood, and that did not bother me one bit, since the Shopaholic series is over. It's hilarious, and will make you laugh out loud. I couldn't put it down and it was one of those books that makes you sad when you are done with because you loved it so much. I read the print version, glad I didn't get it on my kindle since everyone is saying the endnotes are at the end of the chapter.